More versatile than our basic Camera Shot List, this new, improved Shot List packs in more functionality. Read more about the features below. An interactive PDF file, which you can fill out on your computer, save, print and email to your crew. 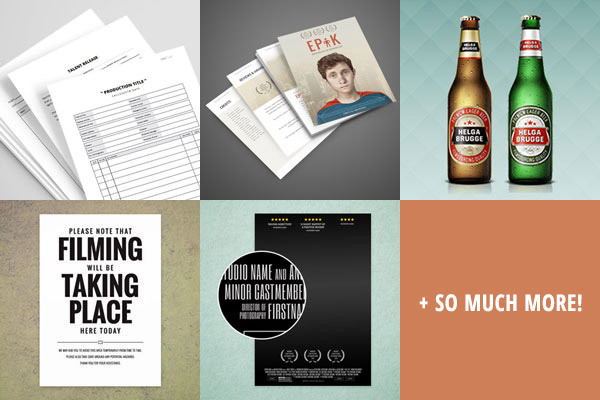 If you need a white-label version with no logos, it is available here with our 70+ other film making related downloads. 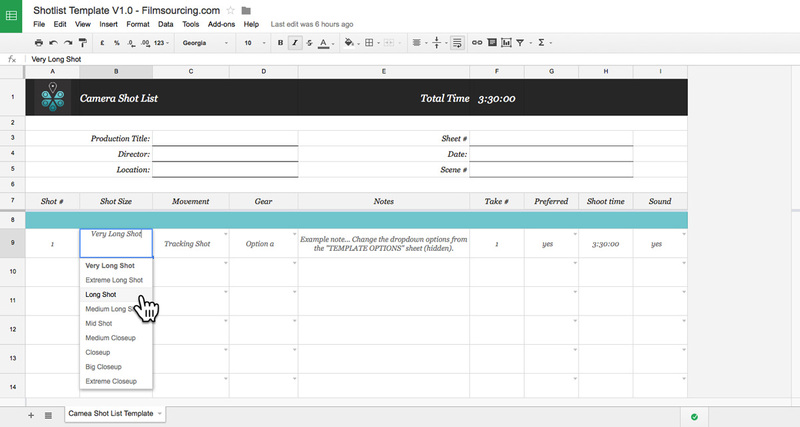 A fully customizable Google Sheet with editable pre-fill options to save you time when filling it out. You can list the shots of your entire production as one, continuous document. You can’t edit the original document, make a copy to your Google Drive to use all the features ( You need to have Google account for this). The document will open in a new window. Let us know if you have any problems with the file. Cheers! * Makes a copy in your Google Drive. This Google Drive Sheet includes all that you need to plan and keep track of your camera shots.